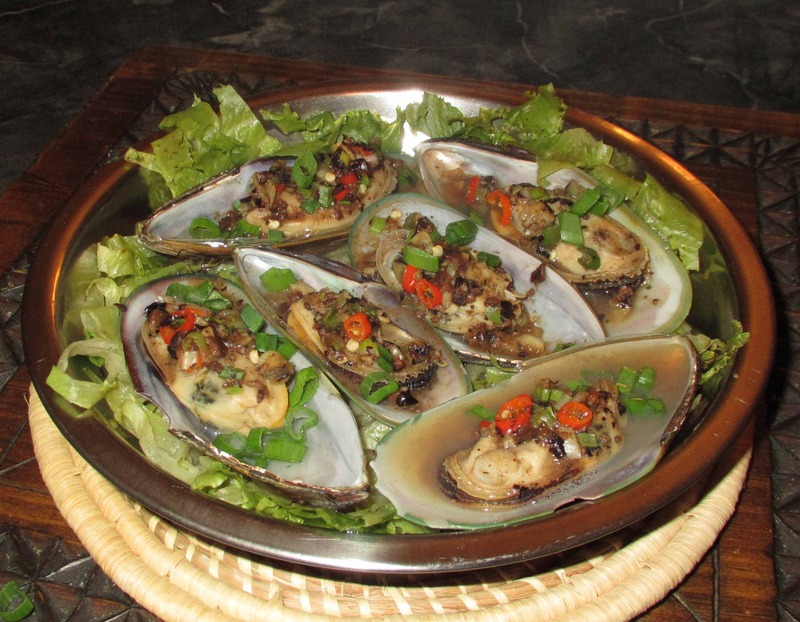 If you have ever perused any Filipino cookery books, or Filipino recipes on the Internet, you have probably come across the name ‘Bagoong’ from time to time. Most sources confidently assert that ‘Bagoong’ is a fermented shrimp paste but this is only partly correct as there are many varieties made with fish as well. The fish types are collectively known by the name ‘Bagoóng Isdâ’, but there are also specific names depending on the type of fish being used. 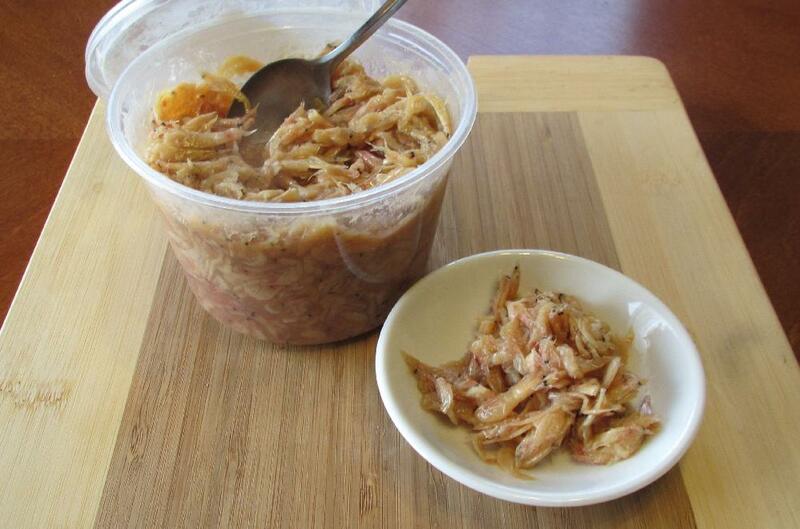 If a Bagoong is made with shrimp, however (and most commonly the super tiny variety known as ‘krill’, is used), then, strictly speaking, it should be called Bagoóng Alamáng. Today, I am going to be using some of my wife’s homegrown Daikon to make a very simple but tasty brine-fermented pickle. 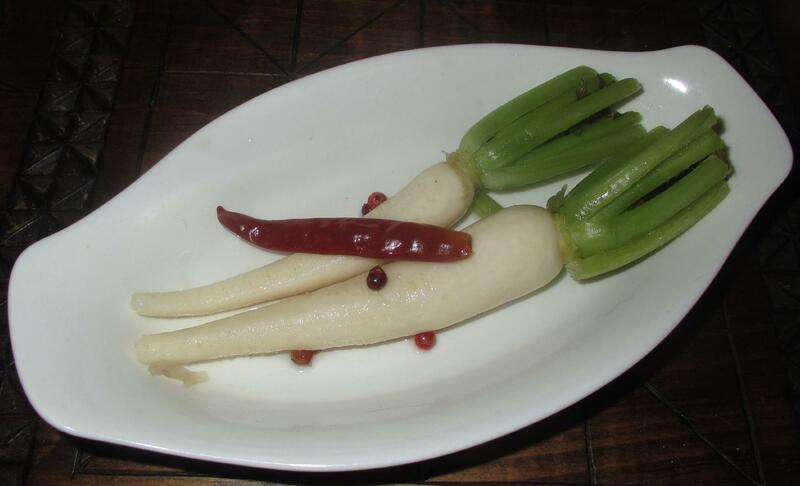 Since our Daikon yield this past season was very small, the tiny daikon we grew can be pickled whole rather than cut up in chunks as is more common. 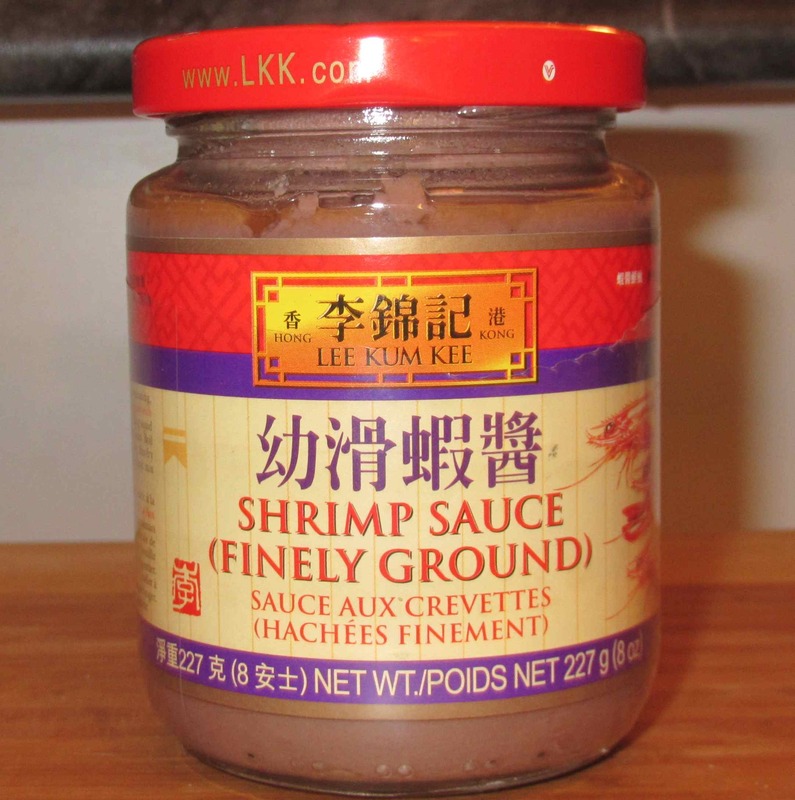 I have featured a number of fermented shrimp products in these pages, including the dried paste variety used in South-East Asian cookery known as Terassi or Belacan, and the Lee Kum Kee version of a Chinese style Shrimp Paste. 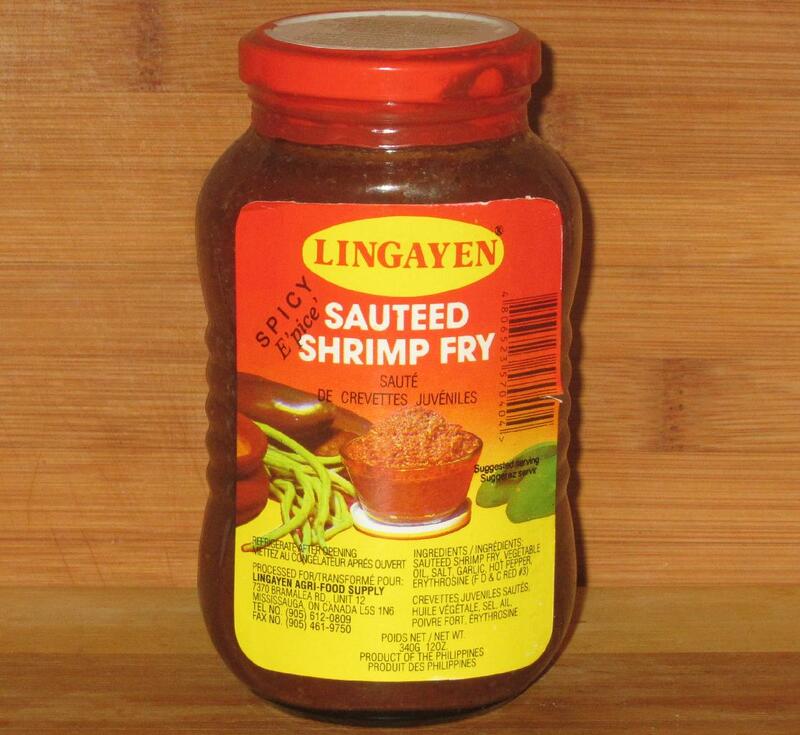 When I saw this particular product on our local store shelves, I initially assumed that it was a sauce of some type intended for stir-frying shrimp but, after closer inspection, I realized that the shrimp ‘fry’ refers to the baby shrimp typically dried and fermented to make culinary pastes and that the word ‘fry’ is used in the same sense as ‘small fry’ when referring to tiny fish. The range of chili pastes available to the adventurous cook is almost inexhaustible and many countries have their own traditional styles for making them. Some are fairly simple, containing little other than chili and salt, whilst others typically contain other more complex additions. Many are fermented to some degree. Before running out and buying this product, prospective purchasers should be aware that the English description of this product on the front of the label as simply ‘Shrimp Sauce’, isn’t a very descriptive indicator of the contents. 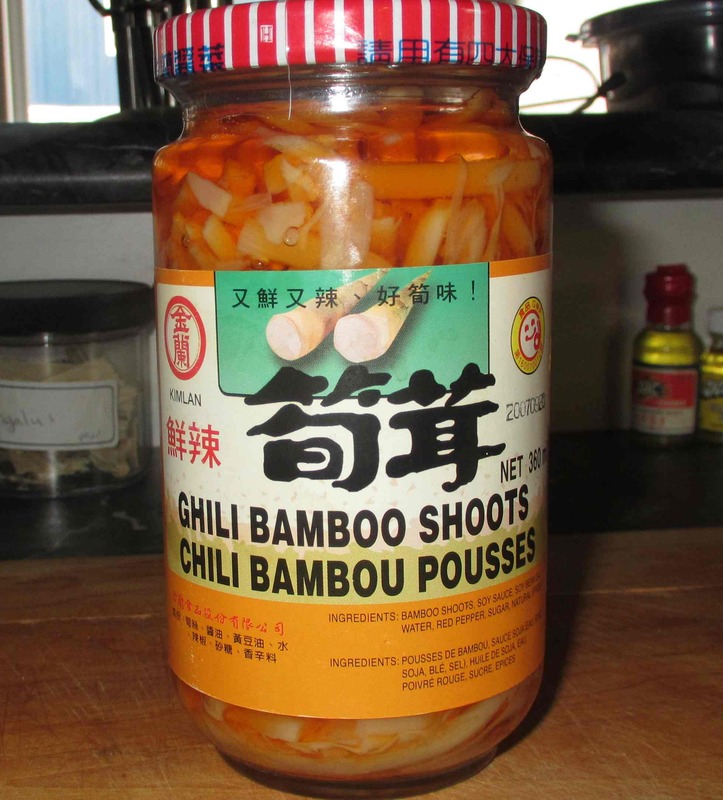 The Chinese characters above the English name are not a lot more helpful; the last two characters (pronounced xiājiàng) mean ‘shrimp paste’, while the first two are best translated as ‘creamy’, which roughly accords with the ‘finely ground’ descriptor in brackets.